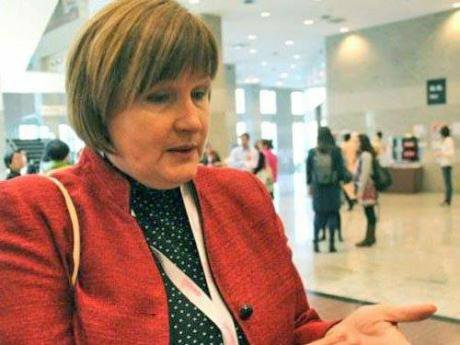 Valentina Cherevatenko is the first rights campaigner in Russia to be charged with evading the 2012 law on "foreign agents". Source: Facebook.Russian civil society received July’s news happily: the case against Valentina Cherevatenko, the first person to face criminal charges under Russia’s Foreign Agent law, was dropped. In June 2017, Cherevatenko, head of the Women of the Don human rights organisation, faced court proceedings for “maliciously evading the requirements of a Foreign Agent”. The Rostov-based rights defender faced not only a fine and community work, but a potential prison sentence of up to two years. She was accused of trying to circumvent Russia’s Foreign Agents law and “having a criminal intention” in registering a non-commercial foundation under the same name. The case against Cherevatenko was eventually curtailed due to “lack of evidence of a crime”. If we unpack the legal details of this case, then it becomes clear that Women of the Don did, in fact, create a new foundation under the same name. 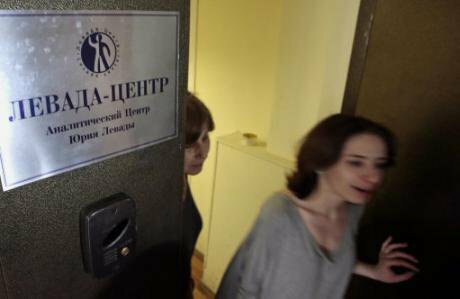 There were concrete reasons for this: in 2013, as the Russian General Prosecutor’s Office conducted a wave of inspections at over 300 NGOs across the country, they found signs of “political activity” in the activities of Women of the Don. Although Women of the Don did not receive any foreign funding (the second condition that ensures any non-commercial organisation is placed on the register of Foreign Agents), the General Prosecutor’s Office requested the immediate inclusion of Women of the Don on the register for their “political activity”. The General Prosecutor’s Office found another violation: Women of the Don is registered as a regional organisation in Russia’s southern Rostov region, but its work travels far beyond its borders — including, for example, Ukraine. The new organisation was thus created in order to work outside of Rostov, but was added to the Foreign Agents register in 2015. One more event with a possible positive outcome occurred in May 2017: the Levada Center, the polling centre that was placed on the Foreign Agents register in September 2016, filed a complaint to the Russian Constitutional Court. The centre plans to appeal against the law’s provision that categorises sociological surveys (and their publication) as “political activity”. Russia’s Foreign Agent law — or, more accurately, the packet of amendments presented in the Federal Law on Regulating the Activities of Non-Commercial Organisations — was passed in July 2012. The first draft proposed that non-commercial organisations registered in Russia should voluntarily join a register (specially created by the Ministry of Justice) and officially receive the status of “Foreign Agent” if two conditions were met: the presence of foreign financing and evidence that the organisation was conducting political activity. Given that none of the main players in Russia’s civil society decided to join the register, in 2013 the General Prosecutor’s Office conducted a series of inspections with the aim of forcing NGOs to join the register en masse. If the law has been passed, it should work. Thus, in 2014, 29 organisations joined, in 2015 - 81, and in 2016 - another 43. Over the past five years, 162 Russian organisations have become Foreign Agents. The five years of the Foreign Agents law’s existence allow us not only to analyse how this legislation has been applied, but how Russia’s NGOs have adapted to these new rules, and which strategies they’ve used to stabilise their situation and continue working. Right from the very beginning of the Foreign Agent era, the pressure on Russia’s third sector has been quite severe. Organisations that were placed on the register weren’t permitted to leave it until 2015. Even after (self-)liquidation, an NGO’s name would remain on the Justice Ministry’s website. The procedure of leaving the Foreign Agents register is described in a March 2015 law. It proposes that an organisation’s management files a special document to the Ministry of Justice, which then conducts an inspection to decide whether the organisation has received foreign financing and or carried out “political activity”. On the basis of evidence gathered during this inspection, ministry officials then decide whether the NGO should keep its Foreign Agent status or not. Over the past five years, 72 organisations have left the register — though 33 have either self-liquidated, are in the process of liquidation or have been liquidated by a court decision. 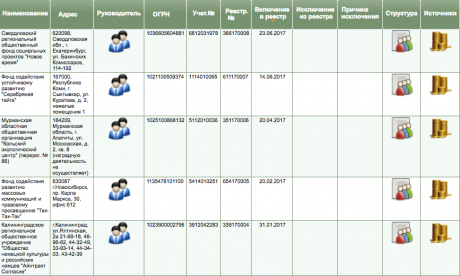 The Russian Ministry of Justice's Foreign Agent register. Source: Ministry of Justice. The status of “Foreign Agent” has acquired both a legal and a social character. On the one hand, organisations placed on the register have had their rights restricted in comparison with other kinds of NGOs (for instance, organisations that perform socially useful services, such as working with the elderly, disabled or homeless). These organisations have to undergo an annual audit (paid for out of their own budgets), or provide the Justice Ministry with information about events they’ve carried out, their management teams (every six months), how they spend funds received from foreign sources (every quarter), as well as publishing this information on special websites run by ministry officials. If a Foreign Agent organisation doesn’t mark all the documents it produces and distributes (whether on paper or online) as “published by a Foreign Agent”, then it can be fined up to 300,000 roubles (£3,800). Indeed, fines await future Foreign Agents for practically everything: for not joining the register, for not observing deadlines on filing audits, and for not marking their materials. And in 2012, another new article was introduced into Russia’s legal system — this time, into the Criminal Code. According to Article 330.1 of Russia’s Criminal Code, if you do not present evidence about a Foreign Agent organisation to the Ministry of Justice, you are maliciously evading the law. This article carries a punishment of a fine, community work or imprisonment up to two years. According to lawyers who work in the NGO sphere, Article 330.1 is superfluous, given that the crime it qualifies cannot be committed in principle. The fact that the case against Valentina Cherevatenko was dropped shows this to be the case. If the pressure on Russia’s Foreign Agents hasn’t decreased over the past 18 months, then at least it hasn’t increased. The fact that several organisations have managed to leave the register — after applying to the Ministry of Justice and undergoing additional inspections — and that the number of new additions to the register is gradually coming down, is testament to this. Organisations are taking victories in the courtroom: for instance, the Centre for Independent Social Research, together with the help of professional lawyers, managed to reach the Supreme Court, where it successfully contested the fines it received for not joining the register. 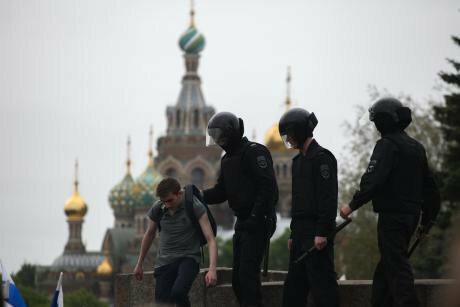 12 June saw mass arrests at anti-corruption rallies across Russia. (c) NurPhoto/SIPA USA/PA Images. All rights reserved.The decrease in attention towards Russia’s third sector is largely connected with the switch in the focus of political pressure, rather than signs of a “thaw” for Russian civil society. The mass detentions at protests on 26 March and 12 June show that the Russian state is ready to act decisively and brutally against its own citizens, refusing to grant people rights which, in the opinion of the repressive machine, impede the defence of “national security” or threaten “traditional values”. Over the past five years, the General Prosecutor’s Office and Ministry of Justice have indeed achieved certain aims — destabilising the country’s third sector, interfering into the work of ordinary employees at NGOs, making it impossible to plan both on a project- and organisation level, dividing the ranks of NGO representatives and stopping/impeding foreign financing. Today, more organisations are leaving Russia’s Foreign Agent register than are joining it. But, so far, these NGOS come from already existing groups (rights defence, environmental organisations, local associations and so on), rather than new targets. The majority of Russian organisations that, at the moment when the law was passed in 2012, received financing from abroad, have felt it necessary to develop a plan of action regarding the threat of registration. One possible course of action was to take Foreign Agent status voluntarily. For this, an organisation had to file a declaration with the appropriate institution. This scenario allowed an organisation to save 300,000 roubles (£3,800) in fines that were handed down to organisations registered by the Ministry of Justice, General Prosecutor’s Office or a court decision. However, receiving Foreign Agent status led not only to legal consequences, but a whole other set of consequences outside the legal framework. According to surveys conducted by the Russian Public Opinion Research Center in 2012 or Levada Center in 2017, Russian citizens surveyed view the term “foreign agent” negatively. For the majority, this phrase was associated with “spies”, “representatives of foreign security services”, “undercover agents” and the “fifth column”. This range of associations illustrates well how effective the propaganda machine operates in Russia. 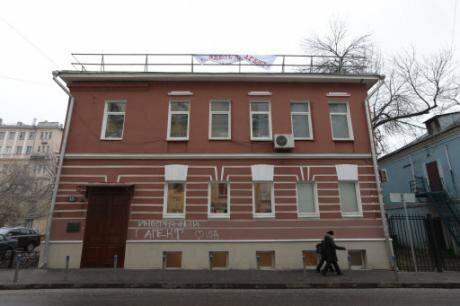 For 28 years, the Levada Center has remained one of the most important research institutes in Russia. (c) Mikhail Metzel / AP / Press Association Images. All rights reserved.Unfortunately,the majority of NGOs entered into Russia’s Foreign Agents register have not been able to counteract the public distrust generated by the numerous programmes and exposes aired on Russian television. Public relations and positioning have not been the main aims of Russian NGOS involved in programmes targeted at helping individual clients, organising education, cultural, social projects, as well as rights defence. That said, some organisations have managed to continue their work as usual after being placed — or facing the possibility of being placed — on the register. Such a choice forces the management and staff of NGOs to live in a situation of increased uncertainty. Over the five years of its existence, the Foreign Agents law has been amended and expanded on more than 10 occasions. Moreover, Russian NGO workers have to constantly observe the law’s conditions: ensure that materials are marked correctly, file audit forms to the Justice Ministry correctly and on time, prepare for sudden inspections (such as the inspections that paralysed the work of many offices in 2013) or unexpected additions to the legislation. There’s little point in waiting for the Foreign Agents law to be revoked. Organisations registered as Foreign Agents also have to decide whether it’s worth contesting their registration or court-ordered fines. Any court battle requires significant investments of time and finances (without a guarantee of success), and the fight for justice can be very costly. In July 2014, the Ministry of Justice even drafted a law banning state employees from participating in the activities of Foreign Agents, but this law, fortunately, was not passed. Foreign Agents are not permitted to be involved with political parties, and in order to conduct election monitoring at any level, they have to register as international observers. There’s cases where organisations, concerned that they might be placed on the register, have turned down foreign financing, any contacts with foreign partners, foundations and international organisations. This is understandable: it allows them to remain within the boundaries of the law. After the procedure of leaving the register was described, many organisations took advantage of this opportunity. At the same time, not every NGO has managed to find substitute funding in Russia (where the charity sector remains underdeveloped), putting both specific projects and the existence of the organisations themselves under threat. Leaving the register doesn’t reverse reputational damage either, as Foreign Agent organisations are informally banned from entering certain spheres, such as state service, the military-industrial complex and others. Registering a new organisation instead of or in parallel with an “old” organisation already on the register can also have a range of consequences. First, there’s cases where parallel organisations have been entered into the register anyway. Created by more or less the same people, these organisations are often registered at the same address as the old NGO, which carries a risk of being entered into the register. Second, the cases of Golos and Memorial show that Russian law enforcement is quite successful when it comes to pursuing different branches of the same organisation. Memorial has suffered several times when the actions of one organisation (the historical association) have been assigned to the other (the rights defence centre), and then used as part of an administrative case against the organisation. If an NGO registered as a Foreign Agent does not mark materials it publishes as "produced by a Foreign Agent", it can face a fine of up to 300,000 roubles. (c) Ivan Sekretarev / AP/ Press Association Images. Все права защищены.In cases where the management of an organisation registers a separate commercial legal entity, it’s likely they’ll find it impossible to work with foundations or international organisations: the majority of them cannot make grants to commercial organisations according to their charters. It might seem that Foreign Agent status is a kind of curse, and that every organisation that receives it will inevitably fall victim to an infectious disease. However, this is not the case. True, the past five years have seen NGOs registered as Foreign Agents encounter restrictions or bans on working with Russian state structures. Right now, this work is regulated via an informal ban, and there are no guarantees that this ban won’t be formalised. Counter-agents and partners have often refused to work with organisations registered as Foreign Agents in case they encounter unpleasant consequences of their own. Russia’s third sector has become more uncertain and unpredictable, which has demanded its members introduce additional guarantees and evidence that work on joint projects will be completed. Foreign Agents do not deny the emergence of self-censorship in their organisations, which arose suddenly during the mass prosecutor inspections in 2013, and required significant efforts to overcome. Indeed, being a Foreign Agent turned out to be not only inconvenient, but expensive: a single audit, outside of an organisation’s project budgets, can cost between 30,000-520,000 roubles (£300-£6,700) at market rates. But one of the consequences of the Foreign Agent law has been the development of extensive legal practice in defending the rights of NGOs and their representatives. The wave of administrative cases against Foreign Agent NGOs has led to a professionalisation of a new community of legal professionals, who have now specialised in defending NGOs. For instance, in 2016, the Club of Third Sector Lawyers released a report on “Development of Civic Activism: Russian NGOs after Foreign Agent legislation”, and the Resource Rights Defence Centre also published a report on the legislation. Every new attack on Russian civil society, whether it’s a campaign against HIV organisations or pressure on independent polling organisations, attracts attention to the country’s third sector, making it visible and creating opportunities to mobilise and coordinate people’s efforts. To be a Foreign Agent today means that you have certain achievements, you’re recognised as a professional and dangerous opponent who needs to be disarmed. Together with the defamatory labels such as “fifth column”, “national traitor”, “spy”, “grant eater” and “enemy of the people”, the Foreign Agent label has become a sign of quality, a marker of belonging to a consolidated, professional community that is actively fighting for human rights. In March 2017, the European Court of Human Rights united petitions from 61 Russian NGOs, which had all appealed against the application of the Foreign Agents law. ECHR sent a series of clarifying questions to Russia’s Ministry of Justice, concerning the definition of the concept of “foreign agent”, “political activity”, and the details of receiving financing from abroad. The Ministry should have answered these questions by 19 July 2017, but ministry officials requested an extension, citing the volume of the material. A new deadline was set for 19 September. Potentially, the actions and position of the ECHR will lead to corrections in Russian legislation. But given that the restriction and increase in level of control over foreign funds for NGOs is a global trend, it’s too early to talk of liberalisation for the third sector.